Practical and stylish, this extra slim case is crafted in soft nappa using the iconic intrecciato technique. 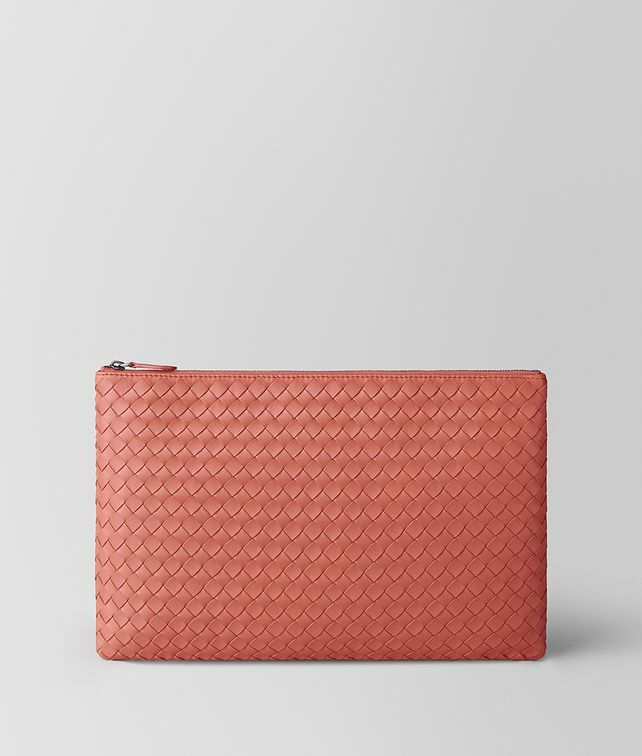 The cotton-lined interior is fastened with a brunito-finish zip closure and spacious enough for carrying documents, devices and other essentials. Width: 11.5 cm | 4.3"